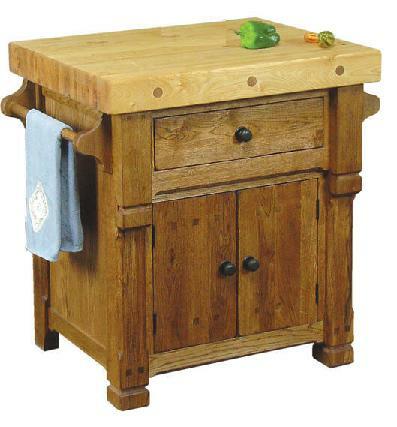 This beautifully made and charming Mexico kitchen island is perfect for the center of your kitchen as an additional work area or storage place. The cabinet features a top drawer for holding knives or other Mexican kitchen items. A two-door bottom cabinet offers more storage potential. Towel holders on each side let you add a special touch of color. Mexican kiln-dried solid pine. 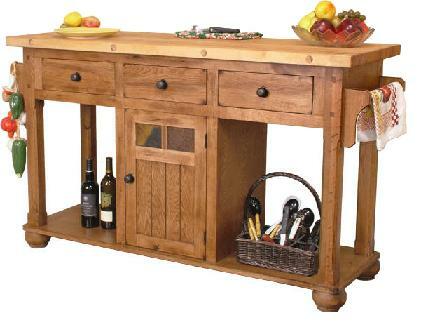 This is a great option to furnish your Mexico kitchen inexpensively. Of course, you can upgrade the size and the stain if you would like. But many customers choose it just as it is: charming, cheap yet high-quality.